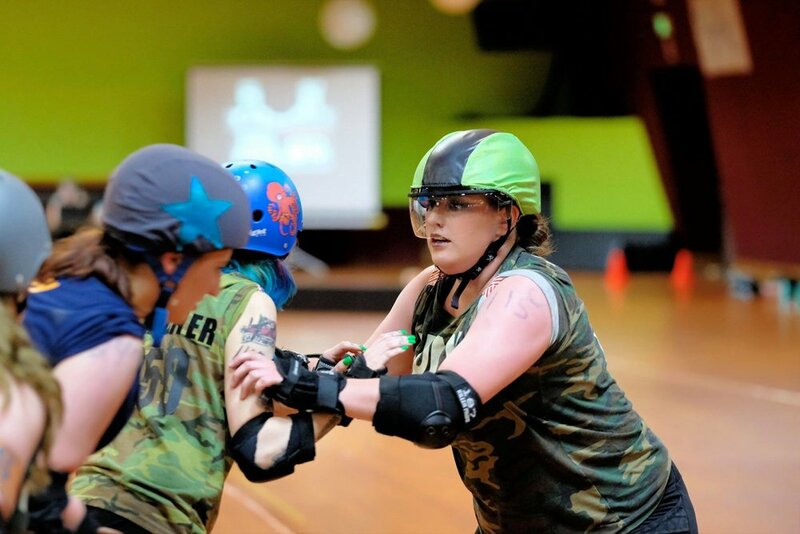 JBLM Roller Derby is an all-female, player run flat track roller derby league serving the Joint Base Lewis-McChord community. 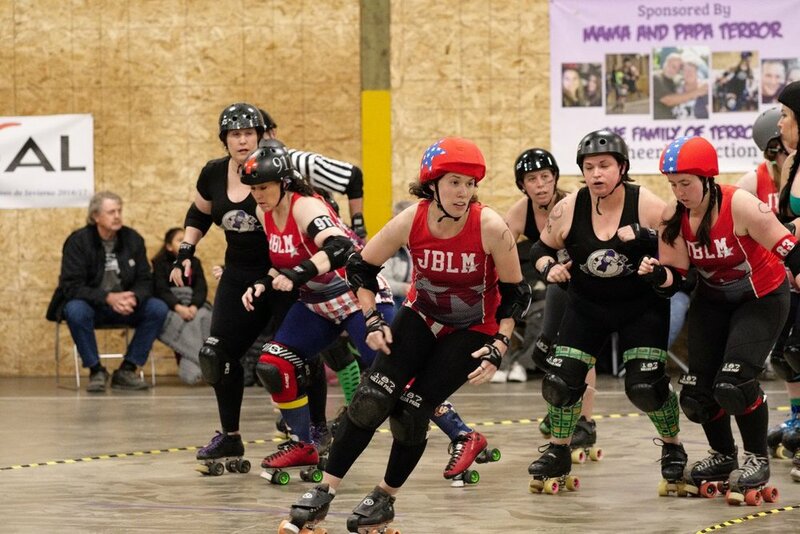 Since October 2010, JBLM Roller Derby has provided a home away from home on the track for both our athletes and their families. We provide a safe, compassionate, and competitive environment for women to learn the awesome sport of roller derby! We also provide excellent opportunities for those who aren't interested in skating, but just love roller derby! Home bouts will be at the beautiful Rollin 253 Skating and Community Center in Tacoma, WA! Learn to leave your signature bruise on an opponent! We are always looking for new skaters, no experience required! Come to a practice or one of our recruiting events. We also love volunteers, no skating required! Make sure you know what we look like before you come see us fly around the track! It might be difficult to pick us out when we're hitting, juking, and whipping each other around! We are Bettie Strong and our photos prove it! The JBLM Bettie Brigade skates out of Rollin' 253 located at 2101 W. Mildred Street, Tacoma, Washington 98466. We practice Sundays 9am-11am and Wednesdays from 8pm-10pm. Swing by a practice and see what we are all about!